With 2000 Watts of power, The new ETI Turbodryer 3500's performance has to be seen to be believed! The incredible power has been achieved by aerodynamically optimising the flow of air through the dryer. 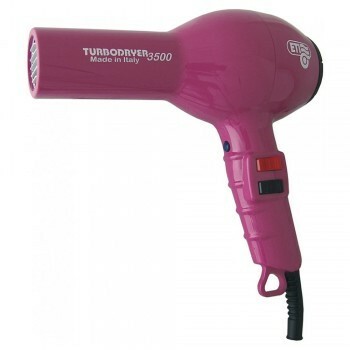 With other hairdryers the internal shape of the case and components obstructs the airflow. ETI have overcome the problem with the 3500! The resulting ultra-high airflow dries hair quickly and efficiently without risk of heat damage. 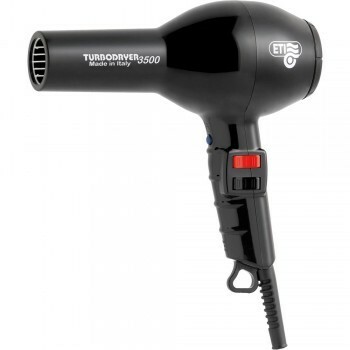 The 3500 is a descendant of the original Turbodryer, which is without doubt one of the UK's best selling professional hairdryers. First released into the demanding UK market over 30 years ago, it quickly established itself as a market leader and is a favourite amongst hairdressing professionals worlwide. · Powerful 2000 Watts Turbo motor. · Choice of eye catching colours.